WOMEN’S events in boxing, billiards and snooker, and weightlifting were not included in the initial list of events for the 2017 Southeast Asian Games in Malaysia. Thirty-four sports are in the preliminary list, according to the Straits Times, but five sports will have competitions for men only. Aside from boxing, billiards and weightlifting, competitions in water polo and rugby will be for men only. All national Olympic committees including the Philippines will have until March to appeal for inclusion of events, according to a report by Channel News Asia. 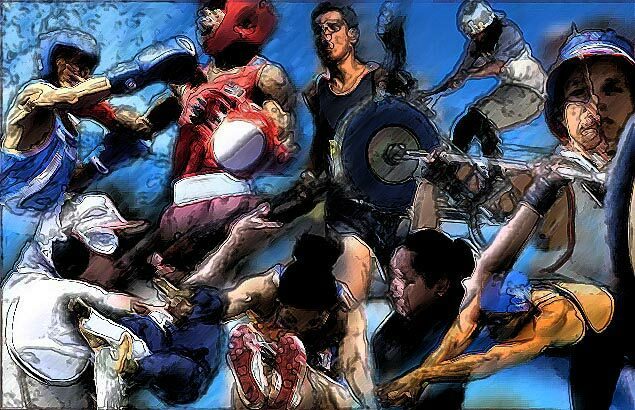 In the initial list approved by the SEA Games Federation Council are aquatics, athletics, archery, badminton, basketball, billiards and snooker, boxing, cricket, cycling, equestrian and polo, football and futsal, golf, gymnastics, field hockey, ice hockey, ice skating, karate, lawn bowls, netball, pencak silat, petanque, rugby 7s, sailing, sepak takraw, shooting, squash, table tennis, taekwondo, tennis, tenpin bowling, volleyball, water ski, weightlifting, and wushu. If the list is unchanged, Filipino medal contenders who will be affected are Josie Gabuco in boxing, Chezka Centeno of billiards, and even Hidilyn Diaz of weightlifting. Gabuco won the gold medal in the women’s 48kg event in boxing last year and could also be a potential qualifier for the Philippines in the 2016 Rio De Janeiro Olympics. Centeno won the 2015 Singapore SEA Games women’s 9-ball event over compatriot Rubilen Amit, before winning the World Juniors Championship the same year. Weightlifting was not part of the program last year and Diaz could be absent for another SEA Games. She is looking to become the second Filipino to qualify for Rio agfter sprinter Eric Cray. Also a big blow for the Philippines was the non-inclusion of triathlon, which was swept by the Philippines’ Nikko Huelgas and Ma. Claire Adorna last year.